We give 2 hour arrival windows. If for some reason we can not make that 2 hour window, you will receive a $25 credit to your cleaning. 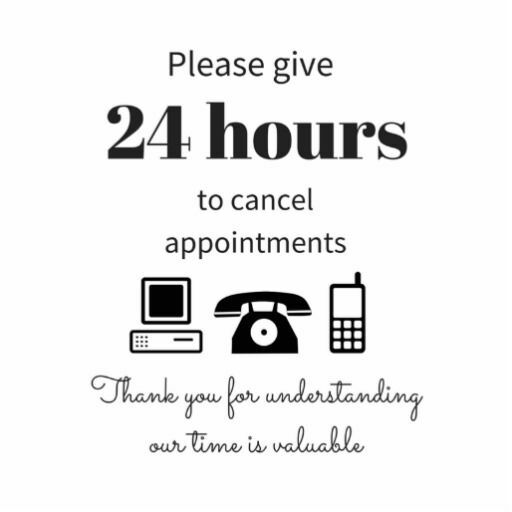 With the same respect, we ask for 24 hour notice if there is a need to reschedule any appointments. We value your business and appreciate that you value our time. We ask for 24 hours advance notice of any changes to your appointment times. Any cancellation or rescheduling is subject to a fee of $25.